A respected attorney who has been in practice for five decades, Robert Hanger brings experience and integrity to the table. Mr. Hanger has been asked to litigate some of Southern Calfornia's largest and most high-profile cases. Most recently, he was a partner at Hanger, Steinberg, Shapiro and Ash, where he handled any matter that insurance companies had a duty to defend. Mr. Hanger also handled some plaintiff cases. Member of panel for MCLE presentation on "How to Take a Deposition"
Mr. Hanger served as President of Hanger, Steinberg, Shapiro & Ash, ALC from 1995-2012. 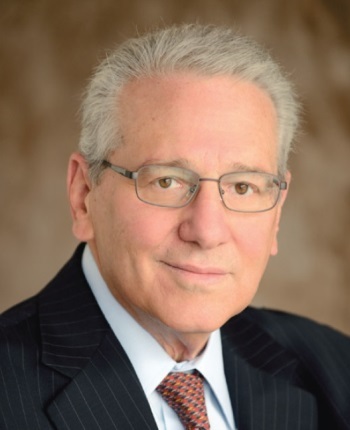 He spent the previous 30 years as a partner in the firms of Stein, Hanger, Levine & Young (1974-1995) and Wyman, Bautzer, Rothman & Kuchel (1965- 1974). Mr. Hanger tried the biggest wrongful death case in the history of Ventura County, Garvin v. Siegel. He was liaison counsel for chemical defendants in a multi-party matter involving chemicals leaking into an aquifer and damaging the Porterville Water supply. Mr. Hanger also represented defendants in the Film Laboratory chemical exposure case. Mr. Hanger has served as a mediator for the Los Angeles Superior Courts for several years. Mr. Hanger is available throughout California.